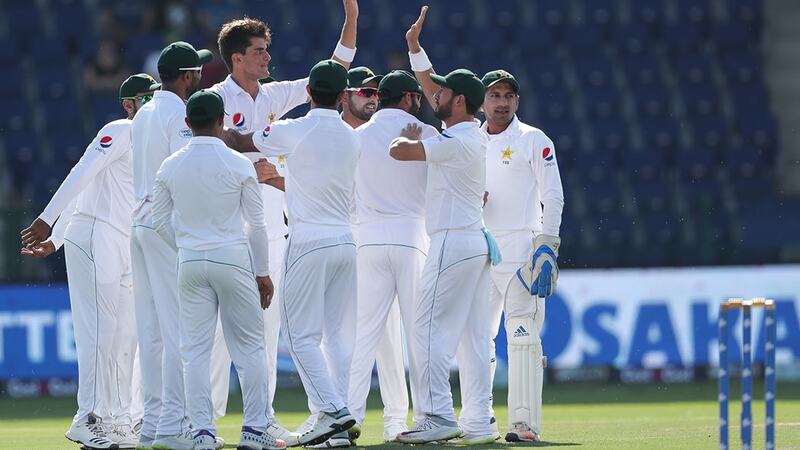 New Zealand reached lunch on Day One of the Third Test of the Oye Hoye 2018 Pakistan vs. New Zealand Test Series presented by Brighto Paints, having lost four key wickets at the end of the morning session, leaving Kane Williamson’s side a mammoth task of pulling their innings back on track to secure the series. 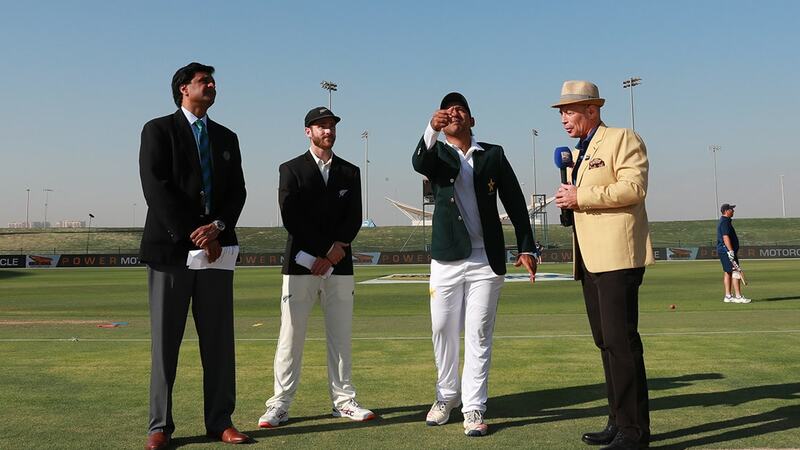 New Zealand won the toss on Monday morning and opted to bat. 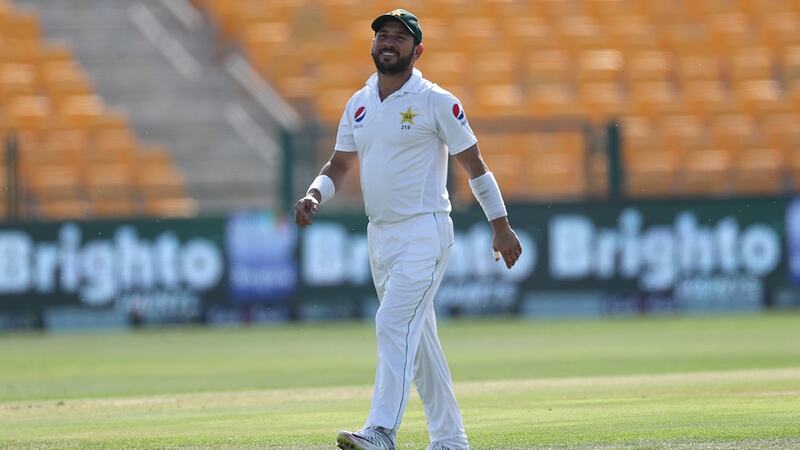 Pakistan’s opening bowling attack started with Hasan Ali and test debutant Shaheeen Afridi in replacement of Mohammad Abbas, who is being rested following a shoulder injury in the last Test in Dubai. Jeet Ravel and Tom Latham strode out to open the batting and the pair were able to find a few boundaries against Pakistan’s pace. However, during the sixth over, a ball from Afridi nicked the top of Latham’s pads, dismissing him for 4. 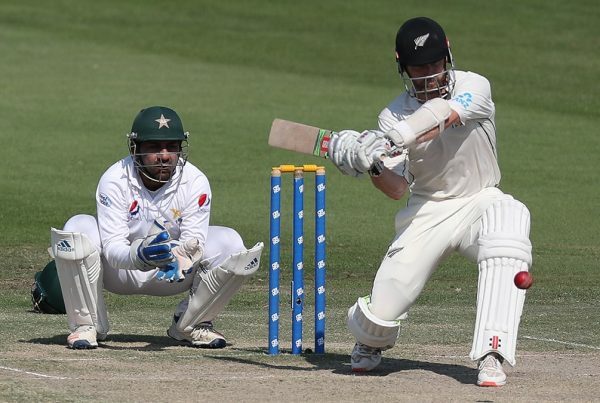 Skipper Kane Williamson came out with the challenge of stabilising New Zealand’s top order after the loss of an early wicket. 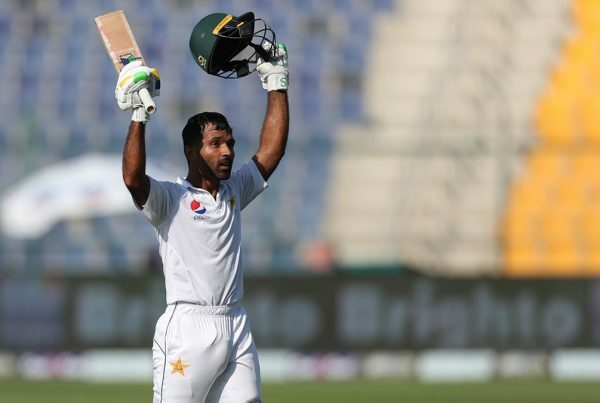 He and Ravel played some steady and confident cricket in the face of some aggressive bowling from Pakistan’s Hasan and Afridi. 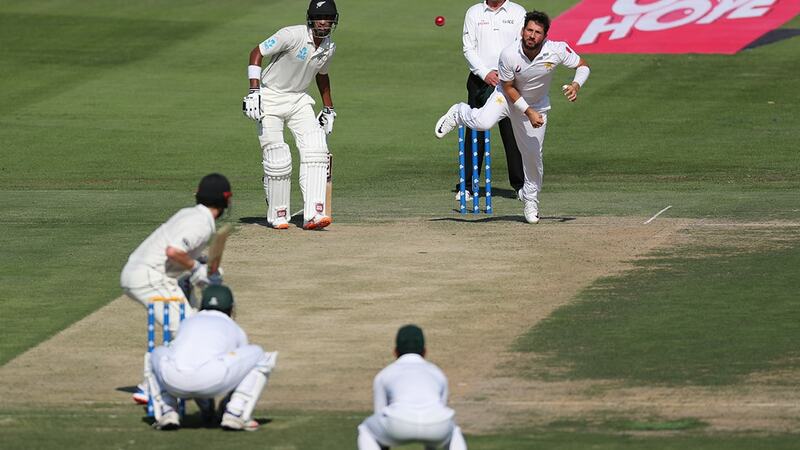 Some strong fielding from Pakistan restricted the Black Caps’ score, but the two batsman were still able to find the boundary with Williamson bringing up his total career haul of over 5,500 test runs during this morning’s session. 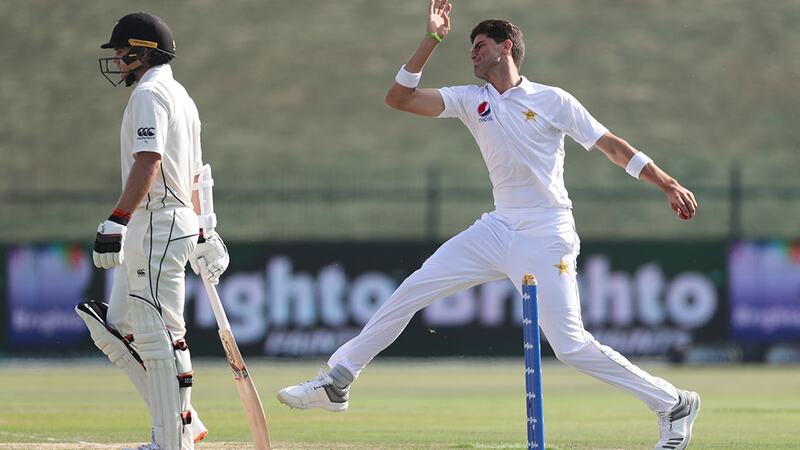 Pakistan brought out their spinners in the form of Yasir Shah and Bilal Asif to try to unseat the now concrete partnership of Williamson and Raval. Yet the pair seemed firmly secure at the crease as they steadily cut balls through midwicket to reach the boundary. However, Shah broke through, as a ball spun into Ravel’s pads, striking him plumb. 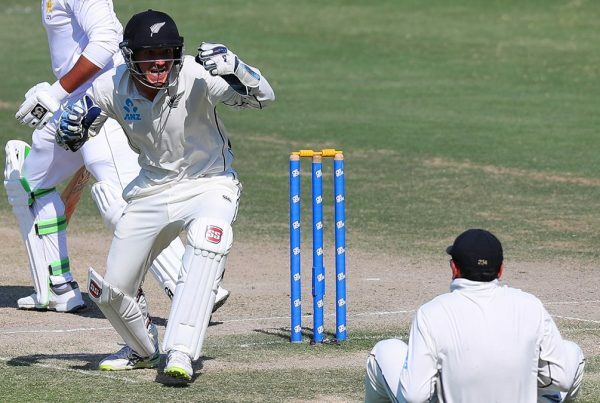 Ravel reviewed, but the third umpire dismissed him for 45 bringing Ross Taylor to the crease – but not for long as Shah shot a ball past the Kiwi’s bat which crashed into his middle stump, dismissing him for a duck. 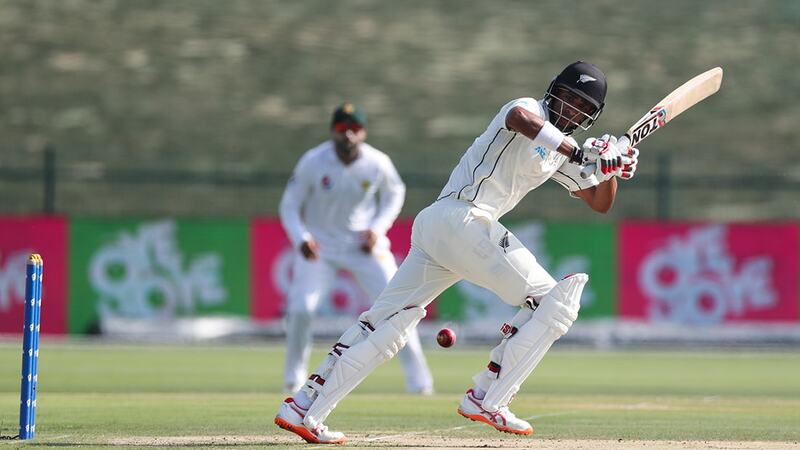 New Zealand slumped from 70 for one to 73 runs for four wickets by lunch, with significant work to carry out this afternoon.